The Skeleton War is a LAN party multiplayer action game where you fight for your right to rest in peace. Using the limbs of your enemies smash your enemies apart before they throw you back into your grave by crushing you with your own skull! 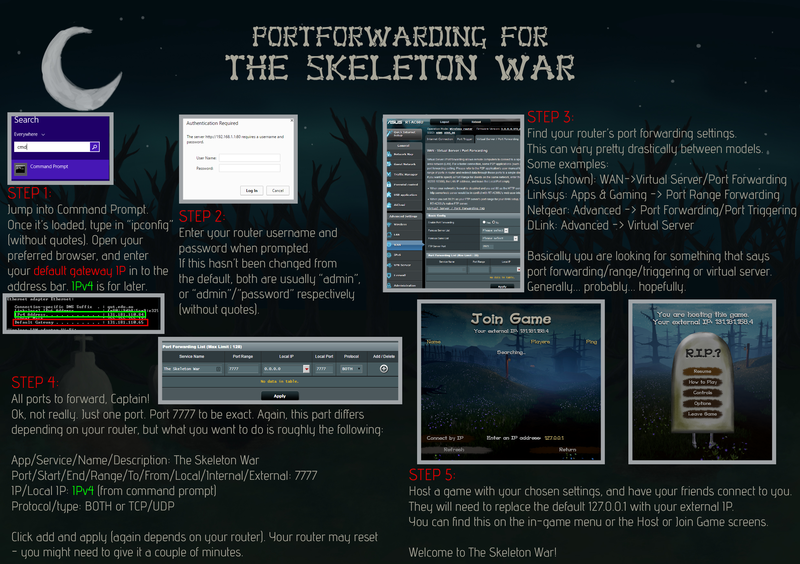 The Skeleton War is a mutliplayer game, and though it's best played over a LAN. You can play it over the internet, but it requires the server to use port forwarding. Follow this guide to set it up on your computer so you can host a server and play with your friends online.